Israel is a western-style democracy where Israelis (citizens of Israel) from all ethnic groups and religious beliefs can participate in regular elections. So voters are Israeli citizens, irrespective of religion, and that includes the 21 percent Arab-Israelis. All votes cast are of equal weight. 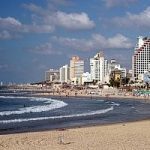 Perhaps partly because of this democratic freedom, 77 percent of Israeli Arabs prefer to live in Israel than elsewhere. That said, some deny Israel is a true democracy by claiming that some Palestinians are denied political representation. And there remains the need to better integrate ultra-Orthodox and Arab communities. 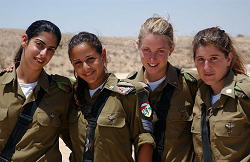 On the positive side, Israel is one of the few Middle East countries where women have the vote. As in the UK, Israel is governed by a multiparty parliamentary system and the government is headed by the Prime Minister who is elected in nationwide elections for a period of four years. But, unlike the UK, Parliamentary seats are allotted using proportional representation (as in many European countries). Democracy can be defined as a government in which the supreme power is vested in the people and exercised by them through a system of representation. This is usually through periodically held free elections, where all votes cast have equal weight. That is the situation in Israel today. Israeli politics permits Israelis of all ethnic groups and religious beliefs, including Arab-Israelis, can actively participate in the election process. Democracy can have different forms, some parliamentary, some representative, others presidential. Like the UK government, the Israeli government is a parliamentary democracy. Early Political Structures: Israel’s democracy is rooted in the social and political structures of the people who first returned to Israel. These aliyah’s (immigrations) occurred in several waves, from 1882 to 1948. The first immigrants came from Eastern Europe, with the goal of political, national, and spiritual restoration of the Jewish people in Palestine. This Zionist agenda aimed to establish a Jewish state and formerly became a political organization in 1897 under Theodor Herzl. 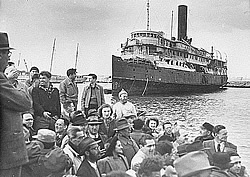 By the end of the second Aliyah (1904-1914), immigrants had made a profound impact on the complexion and development of modern Jewish society. Most new immigrants were young people inspired by socialist ideals, and political parties were founded. The significant point is that the returning Jews brought with them their own social and political structures (different from those of the societies within which they lived) and these became the bedrock of Israeli democracy. Clearly, all the inhabitants of Israel, Arab and Jew, were to enjoy the benefits and freedoms of a democracy. 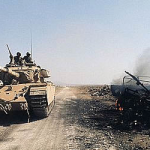 Sadly, as soon as this fledgling democracy was declared, five Arab armies (Egypt, Syria, Jordan, Lebanon and Iraq) invaded Israel, so starting Israel’s ‘War of Independence’. In 2018, 70 years after the declaration of a democracy, the non-Jewish population in Israel stood at over 2 million, representing over 25% of the Israeli population, link. Over these 70 years, the Arab citizens of Israel have availed themselves of the open society that Israel created in 1948. According to polls, 77 percent of Israeli Arabs prefer to live in Israel while only 21 percent want to live in a Palestinian state, link. Why? Perhaps because they look at the incredible slaughter and chaos in the Middle East with millions of Arab refugees living in dire poverty. Life Expectancy: Thanks to universal healthcare, Arab Israelis have the highest life expectancy in the Middle East when compared with the populations of 21 Muslim and Arab countries, [Taub Center for Social Policy Studies]. 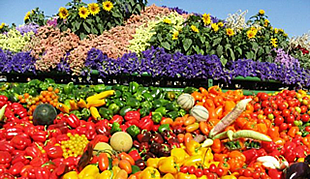 Arab life expectancy is 79 years, the same as in the United States, link. Overall, life expectancy in Israel is well above that of other Middle East countries, link. Israeli Arab Satisfaction: According to a survey by the Israel Democracy Institute – Peace Index, most Arab Israelis (60.5%) described their personal situation as “good” or “very good” and 55% said they are “proud citizens” of the State of Israel. 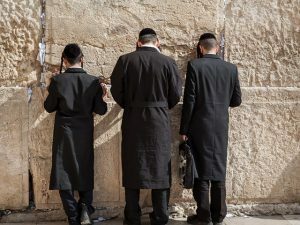 That said, the same survey found that over three-quarters of Arab Israelis do not believe that Israel has the right to define itself as a Jewish state. Israeli Arabs in Authority: On a more formal level, non-Jews are a key fabric of Israeli society. 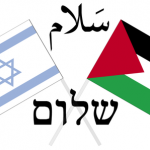 There have been Israeli Arab members of the Knesset (Israel’s government) ever since the first Knesset elections in 1949, and as of 2018 there were 18 such members in the Knesset [Wikipedia]. 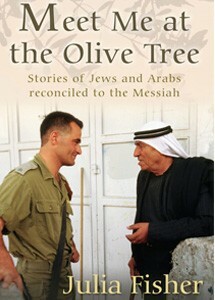 Israeli Arabs also serve as Israeli ambassadors around the world and as generals in the Israeli army, link. In comparison with other Middle Eastern countries, Israel represents ‘freedom’. 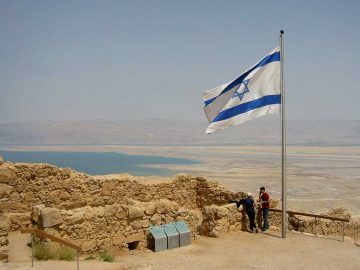 Israel is the only Middle Eastern country to rate as “free”, according to a report by Freedom House, a top U.S.-based pro-democracy NGO. Ranking as “free” under Freedom House’s criteria requires “open political competition, a climate of respect for civil liberties, freedom of expression, significant independent civic life, and independent media.” For “open political competition” read “democratic voting”. The term Israeli refers to a citizen of Israel. So we find for example Israeli Jews, Israeli Christians and Israeli Arabs (note that Israel prefers the designation ‘Israeli Arabs’ rather than ‘Israeli Palestinians’ perhaps because the latter might be seen as politically contradictory, link). Voting is a right granted to every Israeli citizen who has reached the age of 18 or older on election day. So Israelis of all ethnic groups and religious beliefs, including Arab-Israelis, actively participate in the process, and all votes cast are equal of equal weight, link. Also note that Israel is one of the few places in the Middle East where Arab women may vote. Voting itself takes place only in Israel, with the exception of diplomats, soldiers and sailors who are allowed to vote with absentee ballots, link. So non-Jews should be welcomed, but they must accept the existence and land-rights of national Israel. Sadly, this goal seems impossible to fully realize as long as the Palestinian leadership reject the State of Israel. The Knesset Christian Allies Caucus (KCAC) is another government initiative reaching out to non-Jews, link. Formed in 2004, it recognizes the contribution that Christians around the world are making to the security of the State of Israel and to the welfare of the Jewish people. The caucus aims to forge direct lines of communication between Knesset members and Christian leaders, organizations and political representatives in Israel in order to mobilize political support for Israel. As in the UK, Israel is governed by a multiparty parliamentary system. The government is headed by the Prime Minister, who is elected in nationwide elections for a period of four years. Israel also has an elected President, a largely apolitical ceremonial role, with the real executive power lying in the hands of the Prime Minister. The President of Israel is the elected head of the State; whereas, the Prime Minister is the appointed head of the government. The President selects the Prime Minister as the party leader most able to form a government, based on the number of parliament seats his or her coalition has won. After the President’s selection, the Prime Minister has forty-five days to form a government. There is also a judicial system with courts. In 2015 the Likud party (leader Benjamin Netanyahu) picked up the most votes and formed the coalition government with the Jewish Home, United Torah Judaism, Kulanu, and Shas. Likud is right-wing and a nationalist party, initially inspired by the ideology of the revisionist Zionist leader, Zev Jabotinsky, link. For decades it has alternated in government with Labour (currently Zionist Union). 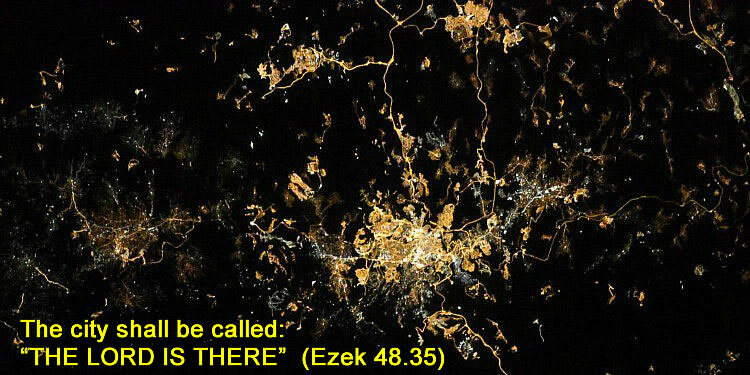 Jerusalem at night from space. Israel has a strong legal and historical case for claiming ownership of Jerusalem and for proclaiming Jerusalem to be the capital of the State of Israel. In contrast, the international view prefers a two-state solution, with Jerusalem the capital of both Israel and Palestine. This view is inconsistent with the fact that the word ‘Jerusalem’ is found 667 times in the Bible, but it is not even mentioned in the Quran! According to the Bible, Jerusalem is the LORD’s city and has a glorious future on this earth when Christ returns to live and reign from there as King. 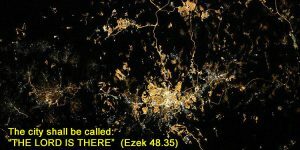 At that time, ‘light’ will go out to the nations from Jerusalem, through Christ, and the name of the city will be “THE LORD IS THERE” (Ezekiel 48.35). 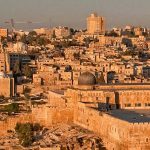 Who Owns Jerusalem – Whose Capital is it? Whilst Congress approved an Embassy move in 1995, previous administrations have suspended it. Benjamin Netanyahu said that he would “love to see that (a move) happen”. But it would signal that the US is perhaps recognizing the importance of Jerusalem to Israel, and so could be destabilizing. 1946: The League of Nations was dissolved and its assets and duties transferred to the United Nations (UN). So the Trust (the Mandate for Palestine) was transferred over to the UN, and UN Article 80 of the UN Charter implicitly recognizes the ‘Mandate for Palestine’ of the League of Nations. In other words, the UN implicitly reaffirmed the 1922 Mandate and Article 80 preserved the mandated rights of the Jewish people. Under the Mandate, Jerusalem cannot be divided and Jews still have the legal right to settle anywhere in Mandated land [Dr Jaques Gauthier, international human rights lawyer]. That includes all of Jerusalem! 1949: UN Security Council Resolution 62 called for implementation of armistice agreements and as a result Israel’s “borders” were re-established along the so-called “Green Line”. This UN armistice line largely reflected the ceasefire lines of 1949. 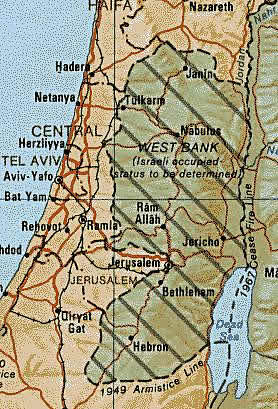 The Green Line divided Jerusalem. 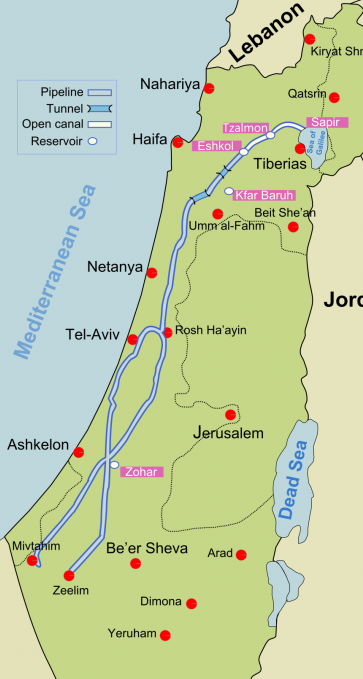 The entire Old City was in Jordanian territory, whilst the west of the city was within Israeli territory, link. 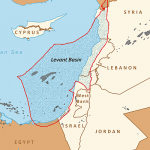 Note that this division simply arose from the invasion of Israel by Arab armies. The Israeli Government follows this argument and denies that the occupation of the West Bank (and East Jerusalem) is illegal on the grounds that the land was not previously occupied lawfully by any other state. Can the UN change sovereignty? Legally, no! Gautier maintains that, under Article 80 and the 1922 Mandate, Jerusalem cannot be divided and that Jews still have the legal right to settle anywhere in mandated land (i.e. west of the Jordan). He states that “in international law, once the title to Palestine was given to the Jewish people, this cannot be nullified retroactively as a result of the introduction of new principles of international law several decades later”. So it is claimed that none of the UN resolutions passed since the San Remo Conference can renounce the Jewish claim to a united Jerusalem. The 1967 war and the strong Israeli measures for changing the reality on the ground in the direction of irreversible ‘ownership’ of Jerusalem have now brought the UN to a defensive mode of approach, hoping unsuccessfully to stop the Israeli claims, link. So, according to the Bible, Jerusalem is the earthly dwelling place of the God of Israel and the place where He is to be worshiped, past, present and future. The Name: The early name for Jerusalem (in Hebrew pronounced yer-oo-shaw-law-yimthe) is mentioned in the first book of the Jewish Torah (Gen 14.18), when Melchizedek was king of Salem. Salem (which is clearly linked to Zion or Jerusalem in Ps 76.2) is from a Hebrew word (pronounced shaw-lame) which came to mean peace. This text alone is highly significant: Melchizedek, whose name means ‘king of righteousness’, was a priest of ancient Jerusalem and a human type of Jesus Christ who will soon rule as righteous king from the future Jerusalem, a place of peace. So here we have a strong Jewish link to Jerusalem, written c1445 BC, link, and well before other national claims to Jerusalem. In fact, historic Jerusalem is mentioned 809 times in the Bible, beginning with Joshua 10:1 and ending with Galatians 4:25, link, whilst it is claimed Jerusalem is not even mentioned in the Koran, link, link. 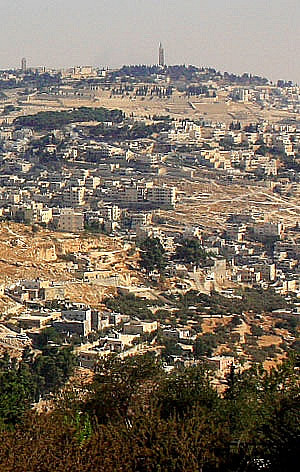 Mount Moriah: This provides another strong historical connection of the Jews to Jerusalem. 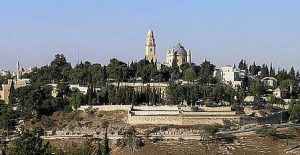 Mount Moriah is an elongated ridge in Jerusalem’s Old City and the top of the Mount is near the Muslim Dome of the Rock, link. The bedrock here is where Abraham would have walked when he came up to sacrifice Isaac around 1800 BC (Gen 22). 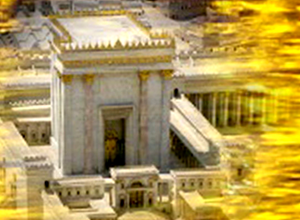 It is also believed to be the actual site of the altar of burnt offering in Solomon’s Temple. 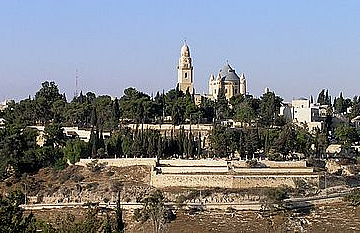 So historically, Mount Moriah in Jerusalem has been the place of Jewish sacrifice for some 2,000 years. King David: Around 1405 BC, men of Judah fought against Jerusalem and captured it (Judges 1.8), and King David conquered Jerusalem in 1052 BC (1 Chron 11.4-9). David built Jerusalem into a great city and capital of Israel (2 Sam 5.6-9) and he reigned there for 33 years. So Jerusalem has been the capital of the Jewish people for over 3000 years. 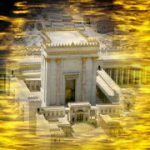 The Temples: The historic links of Jerusalem with the people of Israel are further strengthened by the fact that the city has been the site of two Jewish temples. 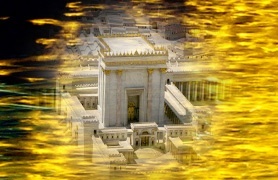 The first, Solomon’s Temple, was completed in 957 BC but destroyed by Nebuchadnezzar in 587/586 BC. It was restored (in inferior form) by exiled Jews who were allowed to return to Jerusalem to rebuild the Temple and restoration was completed around 515 BC, link. 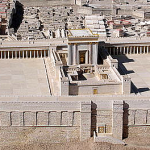 The Second Temple was modest in size until it, and the whole Temple Mount area, was enlarged by King Herod. It was in this enlarged Second Jewish Temple where Jesus threw out the money changers, and it was this enlarged temple that was destroyed by Titus in 70 AD. The traditional location of the First and Second Temples lies in the immediate vicinity of the present-day Dome of the Rock, link, and the Western Wall is the western retaining wall of King Herod’s expanded Temple Mount. 1946: The League of Nations was dissolved and its assets and duties transferred to the United Nations (UN). So the 1922 British Mandate for Palestine was transferred over to the UN, and Article 80 of the UN Charter implicitly recognizes the Mandate for Palestine of the League of Nations. So the right of Jews to settle anywhere west of the Jordan was preserved, link. That included all of Jerusalem. 1948: When the British Mandate over Palestine expired on 14 May 1948, the Jewish People’s Council gathered in Tel Aviv to declare the establishment of the State of Israel. The official Declaration makes no mention of Jerusalem, although it foresees that Israel “will safeguard the Holy Places of all religions”. Note that the right of Jews to settle there was already embedded in Article 80 of the UN Charter. Immediately after the Declaration, five Arab armies invaded Israel and the end result in 1949 was a division of Jerusalem, with Jordan holding East Jerusalem. 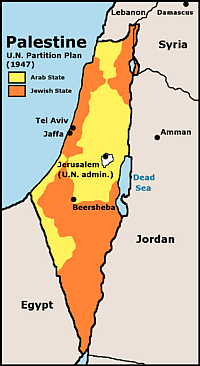 1950: After a vote in January, the Israeli Knesset proclaimed Jerusalem to be the capital of the new State of Israel, link. 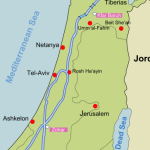 An amendment to include all of Jerusalem was defeated, and so Israel established government agencies in the western part of the city, link (at this time Jordan had gained control of East Jerusalem). This proclamation was based upon historical connections, Bible prophecy and the true legal position defined by the 1920 San Remo Resolution, the 1922 British Mandate for Palestine and Article 80 of the UN Charter (see fore-going discussion). 1967: In the June Six-Day War, Israel regained all of Jerusalem. She did not ‘annex East Jerusalem’ as is widely claimed, link. Israel merely took back mandated land that had been taken by war in 1948/49. Article 80 still stood, and so all of Jerusalem and the West Bank remained Palestine Mandate territory. 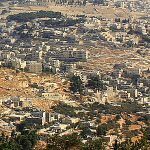 From the point of view of Israeli law, it was held in a number of decisions of the Supreme Court that East Jerusalem had become a part of the State of Israel. 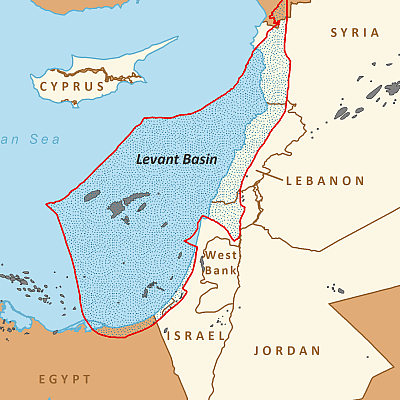 In the opinion of the Government of Israel, Jordan never acquired sovereignty over the eastern part of the city since it took control of it in 1948 by an act of aggression, link. The walls and barriers separating the Israeli and Jordanian sections of Jerusalem were removed, and on 27th June the Knesset enacted legislation to put East Jerusalem under Israeli civil law, link. Jerusalem, complete and united, is the capital of Israel. Jerusalem is the seat of the President of the State, the Knesset, the Government and the Supreme Court. The Law also affirmed that the holy places of all religions be protected from desecration, free access to them be guaranteed. United Nations Security Council Resolution 478, adopted by 14 votes to none, with an abstention from the US, declared the law “null and void.” But, as argued above, UN Resolutions have zero legality when it comes to Jerusalem. 2018: In January 2018 the Knesset approved an amendment to Basic Law: Jerusalem, Capital of Israel that will raise the number of members of the Knesset (MKs) needed to give up Israeli sovereignty over any part of Jerusalem to 80, link. In other words, a special two-thirds majority vote in the Knesset is needed to relinquish any part of Jerusalem to the Palestinians under a future peace accord. Some claim this amendment is weak in that it can be changed with a 61-lawmaker majority, although the bill also canceled the article in the Basic Law that prohibits changing Jerusalem’s municipal borders. Today: International convention maintains that a capital city is usually where a state’s central political institutions reside. While Tel Aviv is widely regarded as Israel’s economic and cultural center, Jerusalem is where the Israeli government resides. 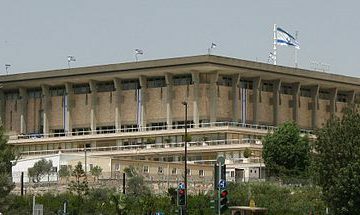 There we find the organs of political power, including the Knesset, Prime Minister’s Office, Cabinet offices, Foreign Ministry and most other government ministries. They are all located in Jerusalem, Israel’s declared capital city. 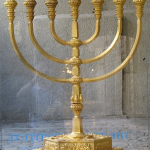 The facts are that Jerusalem has been a Jewish holy city since the days of King David, and the Temple Mount in the Old City of Jerusalem (the site of two Jewish Temples) is the holiest site in Judaism. But in 638 AD the Muslims captured Jerusalem from the Byzantines and built the al-Aqsa Mosque and the Dome of the Rock on the site of the Jewish Temple. 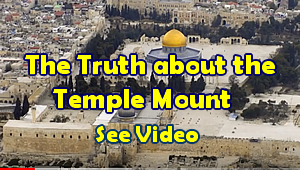 So is the Temple Mount an Islamic holy site too? 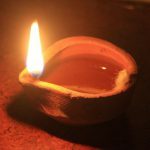 How important is this site to the Muslim? For some Muslims the Mount is widely considered to be the third holiest site in Islam. But why is it even the ‘third’? The word ‘Jerusalem’ is not even mentioned in the Quran, but it is mentioned 667 times in the Bible! And while Jews pray facing the Temple Mount, Muslims pray towards Mecca! Islamic Lies: Today, the Muslims deny the 3,000 years of Jewish temple history and in latter years have tried to remove any evidence of the temples through excavation (the video shows what they have done). But archaeology disproves their claims. In 2019 a bulla (seal impression) and a 2,600-year-old stamp dating back to the First Temple and bearing Hebrew names were recently uncovered as part of the archaeological excavations of the Givati Parking Lot in the City of David National Park in Jerusalem. The dig was conducted by archaeologists from the Israel Antiquities Authority and Tel Aviv University, link. As of 2017, Jerusalem was not recognized and no foreign country had an embassy in Jerusalem. These claims align well with prophecy that the end-time world dictator (Rev 13.1-17) will take his seat in the temple of God (2 Thes 2.4, Dan 9.27). 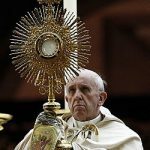 The great reformers saw the papacy as the Antichrist (Rev 13.11-18) who requests worship of the world dictator. On May 26, 2017 a historic initiative bearing over 500,000 signatures from 168 countries was presented to US President Donald Trump, Israeli Prime Minister Netanyahu and Jerusalem Mayor Nir Barkat. This modern ‘Jerusalem Declaration,’ was a historic book containing the names of over 500,000 individuals from around the world who recognize Jerusalem as both the eternal capital of the Jewish People and the undivided capital of the State of Israel, link. The Declaration stands for keeping Jerusalem united under permanent Israeli control. 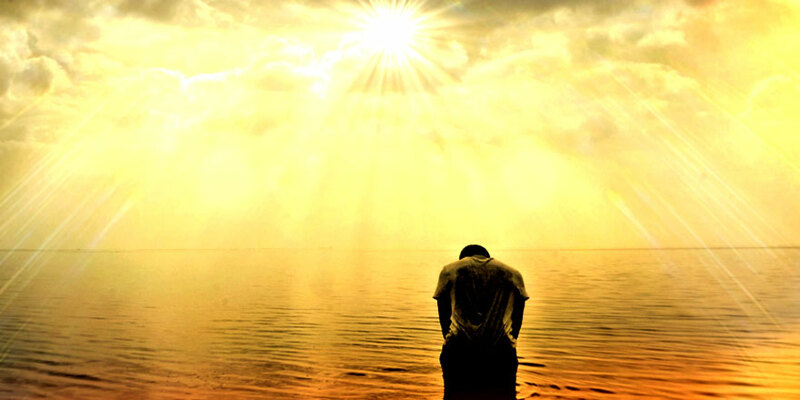 Today the nations rage over Jerusalem and it is time for God’s people to pray! 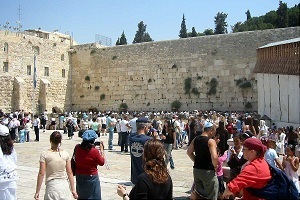 Praying for peace over all dwelling in Jerusalem, God’s holy city, also benefits those who pray. Recall that Zion was originally a Jebusite stronghold located in or near Jerusalem, link. Biblically, Zion refers to ancient Jerusalem – the City of David (2 Sam 5.7), or to the present-day Old City of Jerusalem, or to the future earthly Jerusalem, or to the future, eternal, symbolic Jerusalem (Heb 12.22). So these prophecies clearly show that present-day Jerusalem has just ONE owner – the God of Israel; He ‘delights’ in her, He ‘chooses her’, He will ‘dwell there’ and He will ‘reign as King from there’. The nations should take note: God commands them to be silent over these matters (Zech 2.13). In general terms, Zionism refers to the national movement for the return of the Jewish people to their homeland (the process of aliyah) and the resumption of Jewish sovereignty in the Land of Israel. But Zionism means different things to different people. “Political Zionism” has a purely secular objective. Whilst “Zionist Jews” (Mainstream Orthodox Jews) are not political, they support the establishment of a Jewish state in the Land of Israel. They see the formation of the Jewish State of Israel as accelerating the process of redemption, with themselves playing a major role in doing God’s will by serving the state. They see Zionism as the idea that Jews can self-determine in the land of Israel before Moshiach (the Messiah) arrives. Some Jews are “religious Zionists” in that they accept the Zionist concept of a homeland for the Jews, but pay little heed to the State of Israel (which they see as secular, even blasphemous). These “anti-Zionist Jews”, as in ultra-orthodox Jews, reject modern Zionism and the State of Israel on the grounds that only God could restore Israel. So they await their Moshiach to restore Israel, whilst opposing the modern hi-tech State of Israel. These are anti-Zionist i.e. anti-State Jews, link. As with Jews, the Christian response to Zionism is mixed. Some see no prophetic future for national Israel (Replacement Theology), whilst others support the Zionist cause, as in the return of the Jewish people to their biblical homeland in Israel (Christian Zionism). 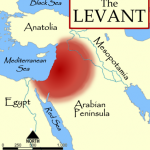 The latter believe that, according to direct interpretation of Bible prophecy, scattered Israel (Jews in the broadest sense) must return to her Promised Land (Canaan) before Jesus returns to Earth as King, link. They see modern Israel as the outworking of the Abrahamic Covenant. Lawyer and writer Theodor Herzl, 1860-1904 (pictured) is credited as being the ‘father’ of Zionism. More accurately, he was the father of political Zionism since he was a secular, non-Hebrew speaking, cosmopolitan intellectual who proposed a secular/political solution to the Jewish problem. So at the outset, Zionism had strong secular roots since Herzl himself did not believe in or practice the Torah. 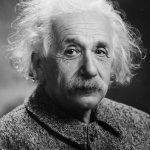 At this time it appears that he did not have Palestine primarily in mind, proposing in 1903 that the Jews settle in the British territory of Uganda. Herzl refused to accept that Palestine alone must be the Zionist goal. But many eastern European Jews would not accept any homeland other than the land of Zion (in fact, the term itself comes from the hill Zion on which the Temple of Jerusalem was situated). They saw the solution to antisemitism in a return to Jewish ‘roots’ and in a renewal of a Jewish people in the land of their ancestors. So Herzl eventually came to appreciate that the creation of such a Jewish state could be feasible only in Palestine, the traditional homeland of the Jewish people. This birthed ‘political’ Zionism. Such a purely political objective was immediately opposed by the Rabbinic Leadership of that time since they favoured what some now call Religious Zionism. On the other hand, it is claimed that Mainstream Orthodox Judaism is definitely Zionist in some form or other, link. The Celebrate Israel parade reflects this support amongst Jews for the State of Israel. At the time of the 1897 Basle Congress, many Orthodox Jews completely rejected any Jewish political movement, and for many years political Zionism excluded the whole religious establishment, link. Orthodox Jews played no important role in politics except in pressuring successive governments to introduce more Jewish religious regulations into state law. Today, some Orthodox Jews (like Neturei Karta Jews), and ultra-Orthodox Jews (or Haredim) do not recognize the State of Israel. These Jews argue that “Jews are NOT Zionists” and “Judaism is NOT Zionism”. Not surprisingly, for many years these anti-Zionist Jews were exempt from military service (although recent Israeli law has abolished blanket military exemption, link). 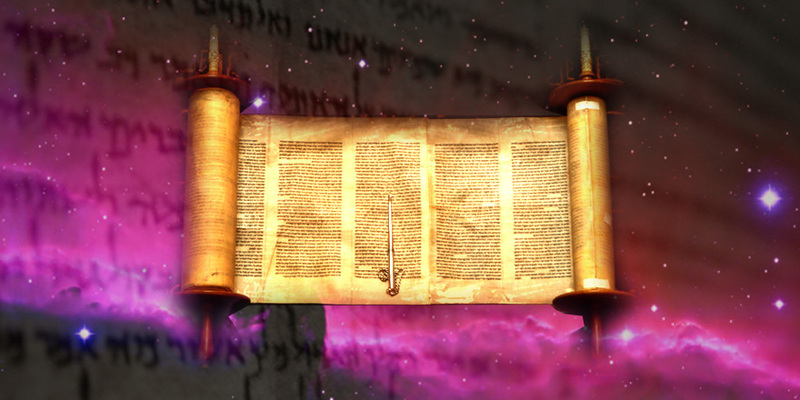 According to the Jewish faith and Torah Law the Jewish people are forbidden to have their own state while awaiting the Messianic Era. So for example, Neturei Karta Jews oppose the State of Israel not because it operates in a secular way, but because the entire concept of a sovereign Jewish state is contrary to Jewish Law, link. Over the years, many rabbis have opposed the State of Israel, see Rabbinic Quotations. These anti-Zionist Jews argue that the Jewish redemption will come only with the coming of the Moshiach (the Messiah), and that the establishment of the Zionist state before that time is heretical and blasphemous, link. Such Jews are also critical of Israel’s policies towards the Palestinians. 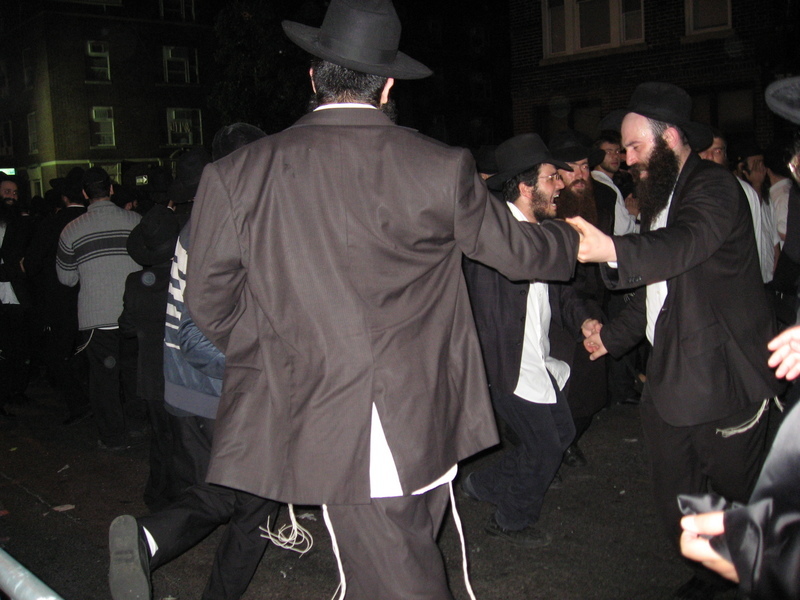 Ultra-Orthodox Jews are predicted to make up the majority of British Jews over time, link. 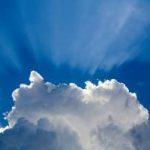 So, logically, some argue that the last days restoration of the Jewish nation must also be the work of God alone. 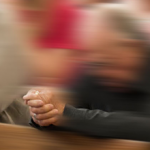 But surely God can use secular means, as in political Zionism, to achieve His will? 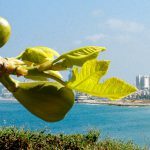 Isn’t what we see today in aliyah, Jewish nationalism and the amazing restoration of the land actually an out-working of God’s unconditional and eternal Covenant with Abraham, link? The mid-late 19th century saw a great move of God amongst leading Protestants and Jews. Protestant leaders like Bishop J.C. Ryle and Charles Spurgeon taught about the restoration of Jews to their biblical homeland, as seen in Bible prophecy. As Bible scholars, they longed for the Second Coming of Christ, but they realized from prophecy that before that can happen the Jews must be drawn back ‘home’. Such Christian teaching greatly influenced the British Government of the time. As already discussed, around the same time, Theodor Herzel (an Austrian Jewish journalist) saw the antisemitism around him and the need for a Jewish State. So with the help of his friend Rev W. Hechler (an Anglican clergyman, crusader against antisemitism, and follower of Ryle and Spurgeon), they birthed ‘political’ Zionism. Because of his Christian beliefs, Hechler was one of the first so-called ‘Christian Zionists’ (see later). The early 20th century saw more Jew-Gentile collaboration. Chaim Weizmann (a Jew and biochemist) came to England in 1904 and soon became a leader among British Zionists. 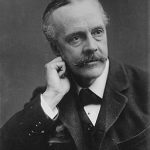 In January 1906 Weizmann met Arthur Balfour (pictured), a UK politician and former Prime Minister, and persuaded him to look to Jerusalem for the Jewish capital and to Palestine for the Jewish homeland. Being an evangelical Christian, Balfour found the spiritual side of Zionism appealing. But he took no political steps in this direction until 1917, when he was British Foreign Secretary under British Prime Minister David Lloyd George. Lloyd George, who had an evangelical upbringing, made the decision to publicly support Zionism. No doubt this was backed by most of the war cabinet in 1917 since most were evangelical Christians! That said, it seems there were also political motives. 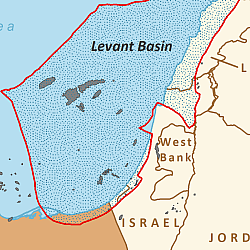 Lloyd George saw that British dominance in Palestine (a land bridge between the crucial territories of India and Egypt) was as an essential post-war goal. This letter laid the foundations for the 1922 British Mandate for Palestine. 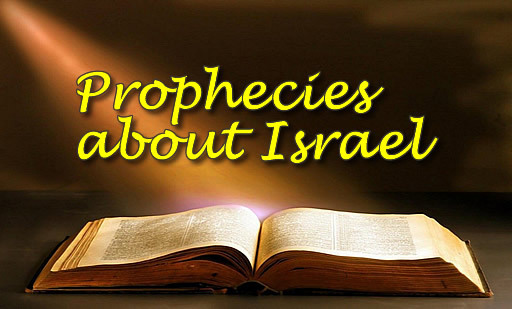 These prophecies have seen recent fulfillment as the concept of Zionism and the in-gathering and restoration of Israel started in the late 19th century. 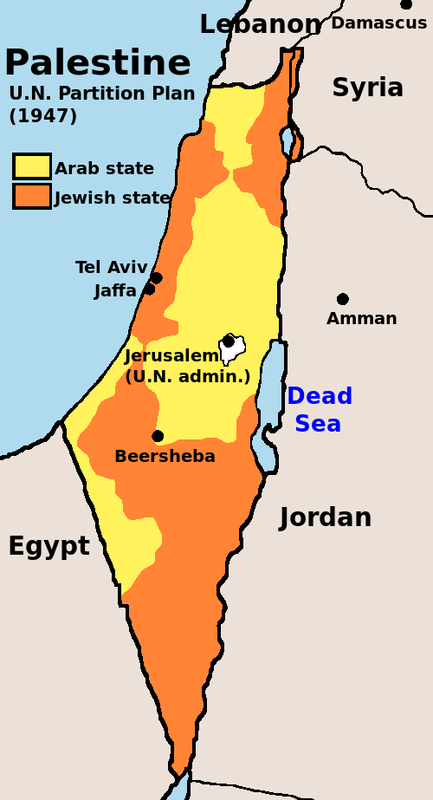 Jerusalem then came under the 1922 British Mandate for Palestine, and after the 1967 six-day war all of Jerusalem returned to the total control of national Israel. 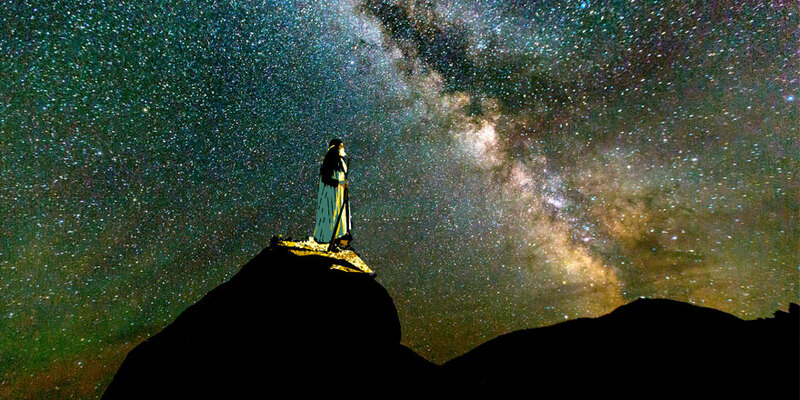 Many see this as the fulfillment of Lk 21.24. 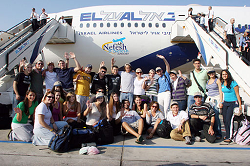 Today, the goal of a State of Israel has been achieved, but the Aliyah continues. For example, to date, some 130,000 Ethiopian Jews have migrated to Israel, with more to come, link. Also, a tribe called the Bnei Menashe in India has maintained their Jewish roots and believe they belong to the lost 10 tribes. In 2014 some 7,000 returned to their ancient homeland. And the role of Zionist organizations like the Jewish Agency & WZO continue to oversee aliyah, immigration, settlement and education. Christian Zionism is based upon God’s Covenant with Abraham and so can be defined as Christian support for the Zionist cause, as in the return (aliyah) of the Jewish people to their biblical homeland in Israel. 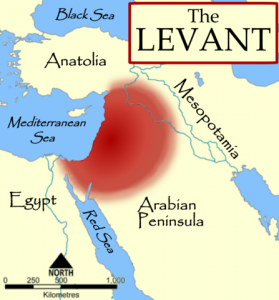 These Christians believe that, according to direct interpretation of Bible prophecy, scattered Israel (Jews in the broadest sense) must return to her Promised Land (Canaan) before Jesus returns to Earth as king. They believe there remains a national destiny over the Jewish people and her national homeland is her everlasting possession in fulfillment of God’s plans and purposes for her, link. They hold to dispensational theology (fostered by John Darby) and believe that the Jewish people have a crucial role to play in the end time confrontation between good and evil (Armageddon) and in the return of Christ. Christian Zionists also recognize the fundamental Jewish foundation of Christianity, without which there would be no Christianity. Such belief motivates Christian Zionists to provide political and financial support to Israel and Jewish causes. Zionists represent a powerful political force in America and often oppose a two-state Israeli-Palestinian solution since they see it as unbiblical. Sadly, many Jews are uncomfortable with Christian Zionism and perceive it as an opportunity for evangelical proselytizing! 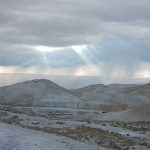 God’s Covenant with Abraham does not of course mention a latter-day ‘Jewish state’ or ‘Jewish government’ as seen by ‘political’ Zionism; prophecy simply describes the return of scattered Israel to her homeland. Nevertheless, the establishment of the State of Israel in 1948 is seen by Christian Zionists as fulfillment of God’s Covenant with Abraham, link. 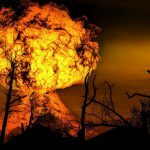 This fundamentalist interpretation of Bible prophecy puts Christian Zionism in a bad light with the institutionalized church, with academia and with the media. It is seen as a gross misreading of the Bible, as ignoring the plight of the Palestinians, and as uncritical support for Israeli politics, link. 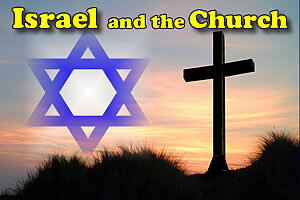 Such Christian anti-Zionist views lead to church boycotts of Israel. 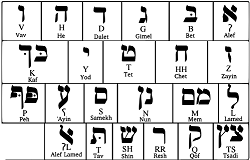 The word ‘Zion’ (Heb: tsiyon) occurs over 150 times in the Bible. It first appears in 2 Sam 5.6,7 where the term refers to the Jebusite fortress or stronghold in Jerusalem captured by David. It was then renamed the ‘City of David’. 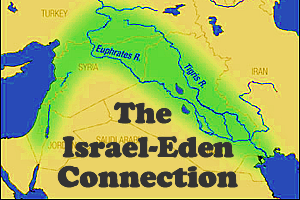 So Zion is synonymous with Jerusalem and the City of David and it is generally agreed that it was located on the long eastern ridge (running north-south) of present-day Jerusalem, link. It is interesting that the ‘elevation’ of Zion is actually referred to in Ps 2.6 and Ps 48.2. Later, when Solomon built the Temple in Jerusalem, ‘Zion’ expanded in meaning to include the Temple and the area surrounding it. So Mt. Zion is synonymous with Mt. 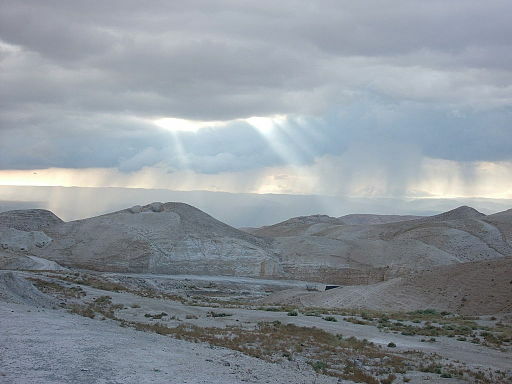 Moriah, the site of the Temple, a mountain of Jerusalem, link. The following video highlights the restoration of Israel (her ingathering from the nations), the recent persecution of the Jews, the making of a nation from nothing, the revival of the Hebrew language (formerly a dead language), the making of a democracy in the Middle East, the benefits of modern Israel to the world, the hatred of the world towards Israel, and the eventual recognition of the Jewish people by the Gentile nations. 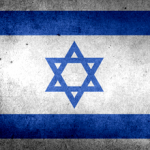 Is the State of Israel Secular or Jewish? 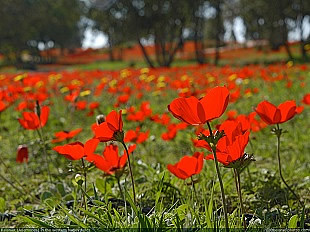 The State of Israel was declared on May 14, 1948. The Declaration did not claim a “Jewish state” but rather a secular Western-style democratic state embracing all its current inhabitants. But since the Declaration also specifically welcomed Jewish immigrants, many concluded the state had deep religious significance – a homeland for the Jewish people as promised in the Jewish scriptures (Zionism). So some Jews and Christians claimed that the creation of the State of Israel was “of God”. 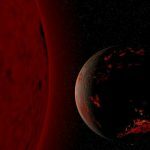 In 2018 Israel’s position on this was clarified by the passing of a new Basic Law – the Nation-state Law. This formally declared that Israel was a Jewish state. Many followers of Jesus (Yeshua) saw this as partial fulfillment of prophecy, for-shadowing the Millennial reign of Christ. Others, including ultra-orthodox Jews and the institutionalized churches, disagreed. They claimed the creation of the State of Israel was “of man” and that this new Basic Law should be repealed. Note that there is no specific mention of, or reference to “the God of Israel”, or to a “Jewish state”. The Declaration is like any Western democratic state in that it guarantees freedom of all religions. So in 1948 Israel was declared a secular democracy where Judaism was privileged (in the sense that it was open for Jewish immigration), link. Although the Balfour Declaration of 1917 “viewed with favor the establishment in Palestine of a national home for the Jewish people” (implying a Jewish state), Israel’s 1948 Declaration omitted any specific mention of a Jewish state. Formally, Israel was declared a secular democracy. So, as from July 2018, Israel was formally declared “a Jewish state“, whilst at the same time maintaining the right of all Israeli residents to preserve their heritage without consideration of religion and nationality, link. 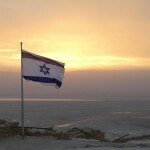 The Jewish State of Israel: is it of Man, or of God? Political Zionism: Modern Israel springs from both political and religious sources. In 1897 Theodor Herzel convened the First Zionist Congress in Basel, Switzerland. The Congress dealt with ways for implementing the goals of Zionism – the movement to restore Israel as a nation in her own land and to create a Jewish state. More accurately, Herzel was the father of political (non-religious) Zionism since he was a secular, non-Hebrew speaking, cosmopolitan intellectual who did not believe in or practice the Torah. He proposed a secular/political solution to the Jewish problem of anti-Semitism and Jewish secular identity. So, as far as political Zionism was concerned, the creation of a Jewish state had a purely secular objective and was not religious. This vision of a Jewish state was “of man”. But now that the State of Israel has been established, some claim the major goal of Zionism today is to build the spiritual center, link. In other words, some Jews claim there is an important religious aspect to the State of Israel. 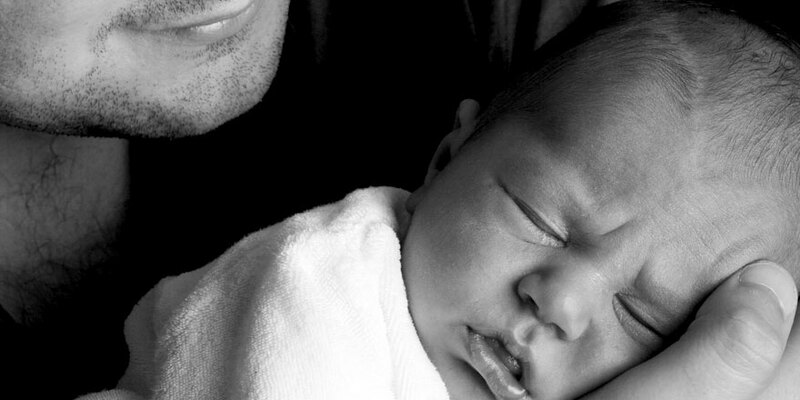 For example, those who wish to preserve their Jewish identity and raise their children as Jews should learn Hebrew. Religious Zionism: So today many Jews hold a biblical view of Zionism. After all, the biblical promises of a land for the Jews and a return to the Temple in Jerusalem were enshrined in Judaism. These “Zionist Jews” (Mainstream Orthodox Jews) are not political, although they support the establishment of a Jewish state in the Land of Israel. They see the formation of the Jewish state of Israel as accelerating the process of redemption, with themselves playing a major role in doing God’s will by serving the state. They see Zionism as the idea that Jews can self-determine in the land of Israel before Moshiach (their Messiah) arrives. 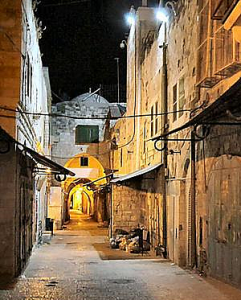 In this sense, these Jews might see the State of Israel as “of man”, but aiding God’s plans. Jewish Opposition to the State of Israel: Some Jews (12% of Israel’s population in 2017) are “religious Zionists” in that they accept the Zionist concept of a homeland for the Jews, but pay little heed to the modern State of Israel (which they see as secular, even blasphemous). 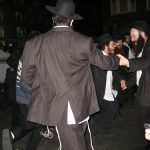 The anti-Zionist ultra-Orthodox groups Neturei Karta and Satmar Hasidism reject modern Zionism and the State of Israel on the grounds that only God could restore Israel. So they await their Moshiach to restore Israel, whilst opposing the modern hi-tech State of Israel. These are anti-Zionist i.e. anti-State Jews, link. To these Jews, the State of Israel is vigorously opposed and definitely “of man”. Zionism and Israel’s Government: With the exception of ultra-Orthodox Jews, Zionists generally agree that the State of Israel should exist, but disagree on what Israel’s government should look like. The Zionist left prefers a secular government and is inclined to trade Israeli-controlled land for peace with Arab nations. The Zionist right tends to be more skeptical of “land-for-peace” deals and is more comfortable mixing religion and politics. 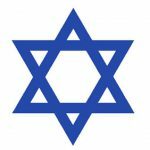 Recent events, as in the 2018 Nation-state Law, imply that the modern State of Israel is looking to its Jewish heritage and the biblical promises in the Jewish scriptures. In this sense, many Jews might see the State of Israel as “of God”. 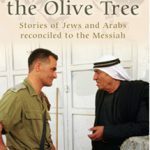 The Jewish State: What does the Bible say? Bible scholars note that Israel, the modern nation, was literally ‘born in a day’, as prophesied in the Bible. The date: May 14, 1948. Such a rapid and large influx of people with a common identity and vision (as provided in Judaism) required a governmental framework with laws. This came to fruition in May 1948. Although secular in declaration, the democratic State of Israel appears to be an ordered mechanism for the fulfillment of prophecy. 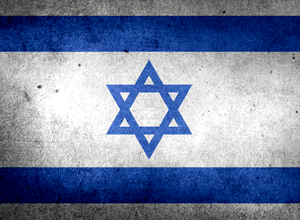 In the prophetic sense it is logical to conclude that the State of Israel is “of God”. But note that it is only a step towards God’s kingdom upon earth. 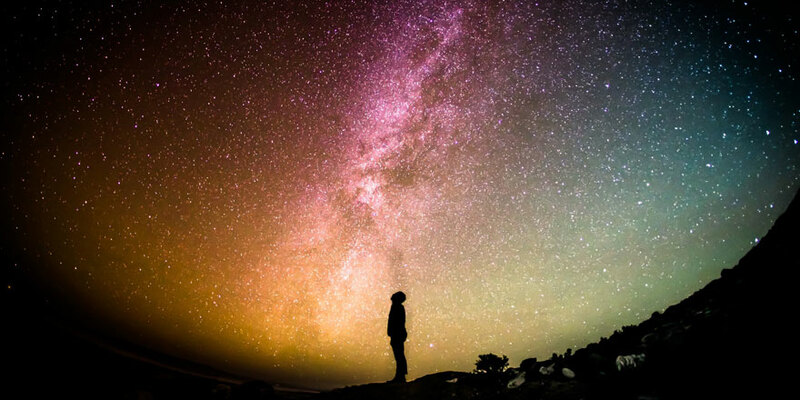 According to the dispensational view of prophecy, this important but human form of government will soon be replaced by the theocratic rule of Christ in the millennium. Clearly, these churches does not regard the declaration of the Jewish state to be “of God”. That said, it should be noted that the Nation-state Law includes “the right of all Israeli residents to preserve their heritage without consideration of religion and nationality”.